Won 1 from 4 over 5f at 3yo with debut win on Apr 27th in handicap off OR90. 4th on last two starts in minor stakes race and then a handicap off OR104. Won 4 from 5 at 4yo starting with a win in handicap off OR103. Then won Gp3 & Gp2 5f on next two runs before successful in the Gp1 Nunthorpe at York and final career start. 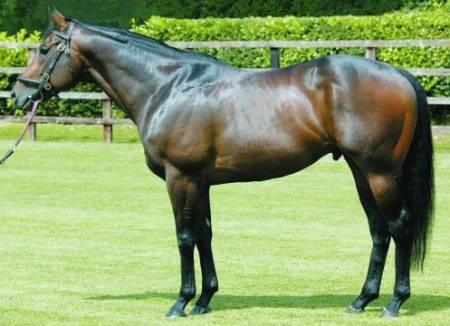 Just an ok start with his 2yos in 2006 with 15 winners from 50 runners (more than any other first season sire) at a slightly below average strike rate. Wins at 5-6f and most at maiden and nursery level although two Listed winners with Sadeek & Blue Echo. Interesting to see how this large group develop at 3yo given his own ce record. 66 yearlings sold in 2006 for an average over 36,000 guineas.